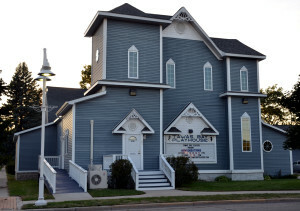 The purpose of the Tawas Bay Players is to promote and encourage theatre in our community by providing quality educational and/or entertaining productions, utilizing talents within the local area. The Tawas Bay Players will provide educational experience in play productions encompassing the following: directing, acting, make-up, stage design, lighting, scenery, costumes, as well as all aspects in promotion and public relations, in any and all other activities as it regards the establishment of such a theatre group. Come and enjoy our productions!